Blackjack is one of the most popular classic table games with both land based and online casinos. There are various reasons for this, but we feel it is the ability to be manipulated; if you have rain man type skills. But that’s where Blackjack card counting software can come in handy! Obviously using card counting software at an offline casino is a big risk and could land you in a whole heap of trouble. But counting cards can potentially offer you a huge advantage when playing online, especially live casino Blackjack. So how exactly can you benefit from counting software? 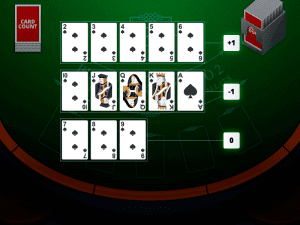 Why use Blackjack card counting software? If you are new to card counting, then this will likely be your first and most appropriate question. Counting systems have been perfected over the years by players, in order to give them an edge over the casino. It can generally give an indication of whether the Blackjack player currently has the advantage or if it has shifted to the dealer. 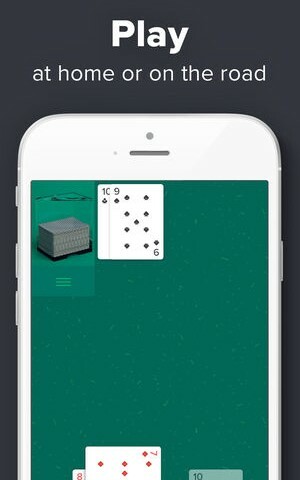 This is achieved based on the number of cards left in the shoe of Ace or ten value. If that’s on the high side, then there’s a greater possibility that the player gets dealt Blackjack or the dealer goes bust. In turn you can then adjust your stake accordingly, potentially reducing losses and increasing profit depending on the hands dealt. It is worth noting however that Blackjack card counting software by means guarantees a win; or will make you a millionaire. It’s also not something you can discreetly carry in to a Las Vegas casino, but you can use it to train your brain for when you’re at the table or playing online. How do card counting systems work? As we’ve just mentioned, the software is predominantly geared up to improve your skills; by training you in different card counting techniques. These programs aren’t just used by new Blackjack players, even experienced players can use them to sharpen their skill base; or learn a new system or technique. So as you can see, there is some mental capability required in order to count cards; but don’t let that deter you. Even the most complicated of systems can be learned by people who don’t have an Ivy League College education, it’s all about repetition and determination. Some systems can even be put in to practice after just a few hours of training. Of course this is purely subjective, as it can depend on your current skill base; also whether you want a free counting software or a paid version. The free options can generally be found in the form of a card counting app, which for novices can be a great place to start; as It can provide you with an understanding of what to expect from some more in depth software. But generally, anyone that has put a lot of time and effort in to developing a successful system and software is going to want to be rewarded. So paid software would be our way to go before putting your knowledge to the test. A persons preferred method of learning can also play a part as to which counting software is the better option. So if you’re more of a hands on studier then you may want to check out Casino Verite. CVBJ – Beginner – Is a building block style learning software that allows players of all levels to start simple, then learn at their own pace. CVCX – Intermediate – Offering a whopping 150,000 card counting simulations that focus on risk and bankroll and card counting strategy comparisons. CVData – Expert – After mastering the previous tool you can take your skills to an expert levels with this advanced simulation software; which features a modern card counting index generator and highly complex cover play and error simulation. CVSH – Rain Man – This is a shuffle-tracking practice and analysis software enabling Ace Sequencing practice and analysis. We have to admit all of this can sound a little daunting, the $90 price tag may also put beginners off. Though the demo version of their Blackjack card counting software might help you decide whether to take the plunge. An alternative to Casino Verite is the impressive Blackjack Apprenticeship website. Featured on The New York Times, CNN and Huffington Post, BA is an extremely popular Blackjack card counting software; and it’s not hard to see why. With a comprehensive video course tackling all aspects of the card counting from experienced players; this is one of the most popular systems available. There is even a free mini card counting course available, giving you the opportunity to see for yourself just how simple their learning process is. If you are struggling to master their software and progress through the skill levels, then there is also forum for member; a community of like-minded individuals who are there to help you with their very own tips. Once you’ve got to grips with the free version, there are two membership options available. Apprentice offers a video training course and Blackjack drills, as well as access to the Community Forum, Casino Intel and Exclusive Content. Whereas the Expert plan covers all that plus an elite training kit and one-to-one sessions; with the mastermind behind this card counting software. Granted there are plenty more Blackjack card counting software options available, which all have their own merits. But if you’re serious about counting cards or looking to become professional, then we recommend you try out either of these. Rather than testing your skills at a local casino, running the risk of having your hand smashed with a hammer; playing online may be a better option. We have an extensive knowledge of the online casino industry and by using our reviews, you could find the perfect place to practice. 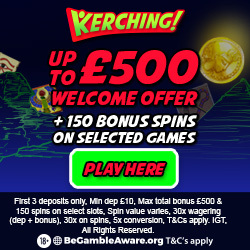 We also specialise in Boku payments and various other depositing methods, as playing is one thing, but you need to know you can collect your winnings securely; especially if you choose to take advantage of a keep what you win casino bonus.